In 1859 near Abbeville, South Carolina, 12-year-old Bill Reed was forever separated from his family. His father was sold away, and his mother, grandmother, and other family members were all taken away from the state soon afterwards. Waving goodbye to them, young Bill would never lay eyes on them ever again. He left South Carolina in 1866, shortly after he was emancipated, and moved to northern Mississippi after he was told that Mississippi was the “land of milk and honey with fat pigs running around with apples in their mouths.” He died near Senatobia in 1937, at the age of 91, never learning that his family had been within 75 miles away from him, also in northern Mississippi. 150 Years Later is a riveting story of discovery that chronicles Collier’s relentless journey of unearthing his great-grandfather Bill’s mysterious history, finding his family’s whereabouts and their living descendants, and breaking down barriers to mend the broken ties in an emotional reunion in 2009 – 150 years later. 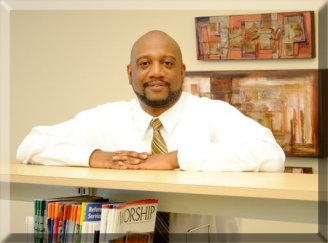 Earned a Master of Arts degree in African-American Studies, Clark Atlanta University, 2008. Currently resides in the Washington, DC Metro area. After the Civil War’s end, many emancipated African Americans sought tirelessly for their family members from whom they were torn asunder. They often thought of them, like William “Bill” Reed had done with a heavy heart, wondering about his family’s whereabouts. In South Carolina, when my great-grandfather was twelve years old, he watched his father being sold away, never to see him again, and he helplessly watched as his mother, grandmother, brother, and other family members were taken away, never to lay eyes on them again as well. Bill and a younger sister named Mary were then sold to a local owner. However, he never forgot his family. His soul would not allow him to forget them. Family remained crucially important to Bill, as revealed by his decision to name his youngest son after his long-lost father. Family was paramount, as evident by the many stories he shared with his children and grandchildren underneath his sycamore tree on his 300-plus-acre farm near Senatobia, Mississippi. As a storyteller, Bill continued to share his childhood memories of his slavery days in South Carolina until his demise in 1937, at the age of ninety-one. He wanted his family to know from whence he had come. 150 Years Later tells Bill Reed’s stories. His stories and my family’s willingness to share them ultimately led to his mysterious history being unraveled and also redeemed in a grand fashion – an emotional and powerful family reunion that occurred 150 years after his family unit was dismantled. His stories displayed the terrible burdens chattel slavery had placed on the stability of African-American families. His stories also revealed the centrality of family in his life, as well as the lives of other former slaves who were always under the dreadful threat of being forever separated from their kin. From his stories, 150 Years Later also demonstrates the great value in oral history and the importance of capturing it. In order to fully understand why Bill Reed and many other former slaves placed such a high value on family and to appreciate its importance, one must revert back to the roots – Africa. Inside a small region of a massively beautiful continent, stretching from Senegal to Angola, the ancestors of African Americans hailed from culturally rich communities where the family was the foundation for the survival and growth of the village. Traditional African societies were diverse in many ways, but a cultural feature shared by nearly all of them was that life was centered around the family – often an extensive kinship network that included all who descended from a common male or female ancestor. It did not matter if an ancestor was from the Akan culture of Ghana, the Yoruba culture of Nigeria, or the Mende culture of Sierra Leone, their familial ideologies were similar regarding family life, and those cultural values accompanied them to North and South America. In spite of the physical and psychological trauma those chained ancestors would come to endure on this side of the Atlantic Ocean, the institution of family never waned. Its importance among African Americans continued on after slavery, during Reconstruction, throughout the Jim Crow era, the Great Migration, the Civil Rights Movement era, and up to the present. In the midst of the many injustices African Americans faced in society, the family was crucial in providing moral, psychological, and financial support, not only to consanguineal family members, but also to many unrelated individuals who were considered a member of the family. Family support enabled many former slaves to endure the atrocities of chattel slavery – if they were fortunate to be among their family members on farms and plantations throughout the South. Bill Reed’s stories are an attest that people of African descent are not ethnically wired to be individualists. The tradition of family must and should continue in churches, schools, communities, and most importantly, in immediate and extended families. Aspects of modern society and thinking should not be allowed to erode the cultural essence of family that was undoubtedly brought over from Africa. 150 Years Later displays that powerful essence – one that should never die. Chapter 1: "The feeling was just there." Click here for a sample of Chapter 1. 150 Years Later Incorporates Everything Historians Dream About by Robin Foster: Often on the brink of tears while I read, “150 Year Later” has left me beyond words. It is a total masterpiece...a miraculous story full of mini miracles! 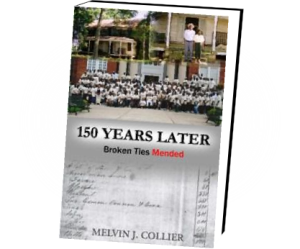 The painstaking efforts of Melvin J. Collier to uncover his ancestry and to identify each member of the family group of Lewis and Fanny and their whereabouts had me cheering for his success the whole way through the book. 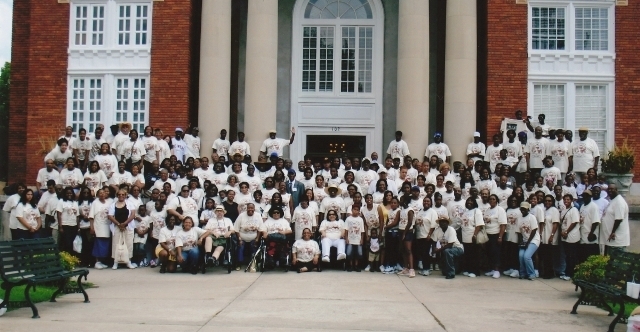 I was incapable of holding the yearnings for my own Abbeville County ancestors at bay. My heart raced forward in anticipation of each new discovery of fact, locality, and person. He left no stone unturned in his search. He relied on the oral history of the oldest living descendants, but he also produced historical documentation in his unrelenting search . . . - Read more at “Over Troubled Waters”. Click picture to enlarge. Then, click right side of picture to advance to the next picture. Contact Melvin J. Collier at RootsRevealedATyahoo.com (replace AT with @) or complete the form below.